Colombo is rarely on anyone’s radar when visiting Sri Lanka. Travelers arrive to Bandaranaike airport and straight away drive down south to chill by the beach or into the hill country to see mountains. The capital is left out which I understand full well: Colombo is busy, hectic, and not particularly beautiful. Having said that, I must add that there are plenty of things to do in Colombo, and my absolute favorite is exploring the local cuisine! 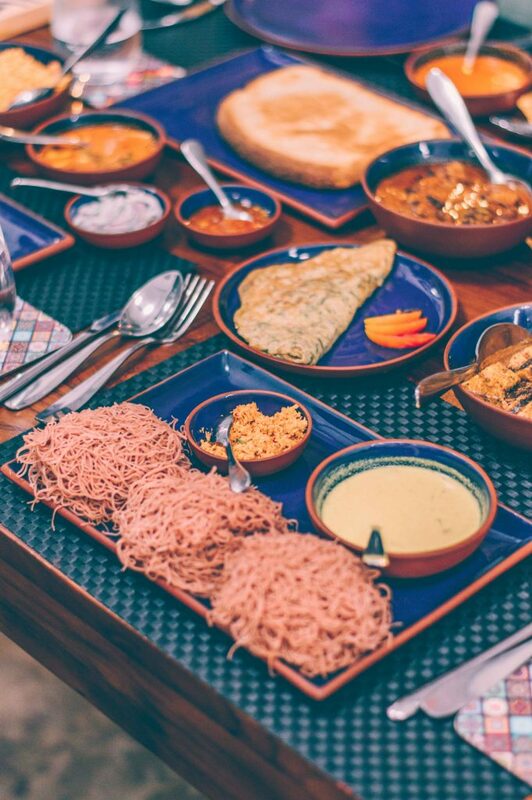 There’s a great variety of Sri Lankan restaurants in Colombo that offer amazing local dishes. 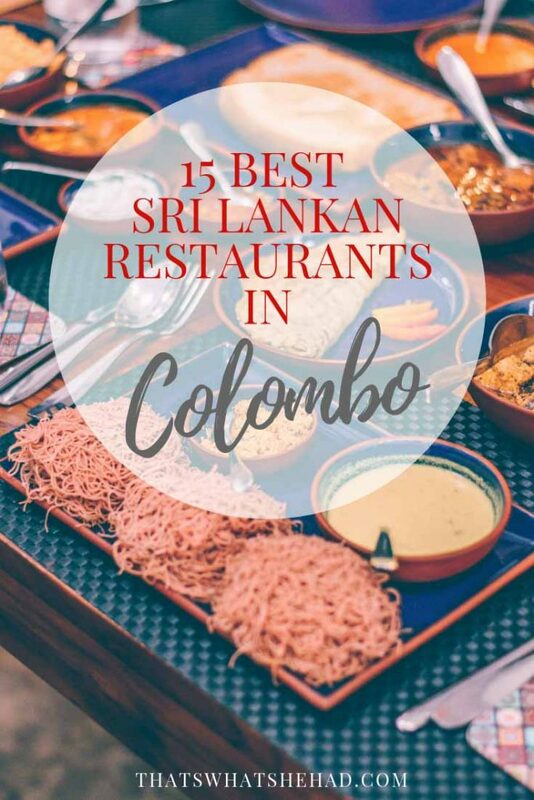 This guide includes authentic Sri Lankan restaurants in Colombo that serve some of the most popular foods like rice and curry, kottu roti, and lampais. 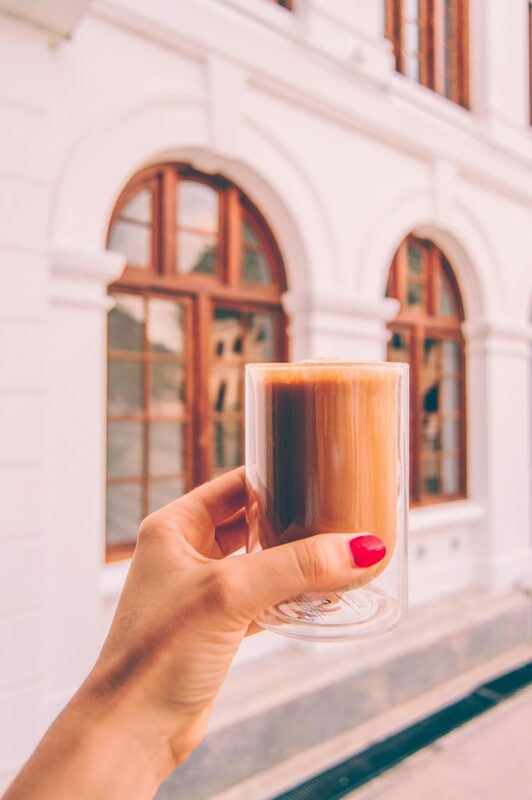 In addition, I included some of the best spots to have Ceylon tea, Ceylon coffee, and enjoy afternoon tea, a tradition that was adopted in Sri Lanka during colonial times. Let’s get started! Breakfast at Curry Pot: pol roti (flatbread) with parippu (lentil curry). Make sure to refuse the plastic lunch sheets to help protect environment (this was my first time and I didn’t realize the food is served on plastic). Curry Pot is a simple local joint on Marine Drive, right by the ocean. Their breakfast set up consists of at least twenty pots of different curries, including chicken, polos (young jackfruit), coconut sambol, lentil curry and many more. You can have the curries with rice, roti (Sri Lankan coconut flatbread), or string hoppers. The quality of food and the prices will leave you happy and craving more! Ask locals where to find the best Sri Lankan food in Colombo, and nine out of ten will name Upali’s. 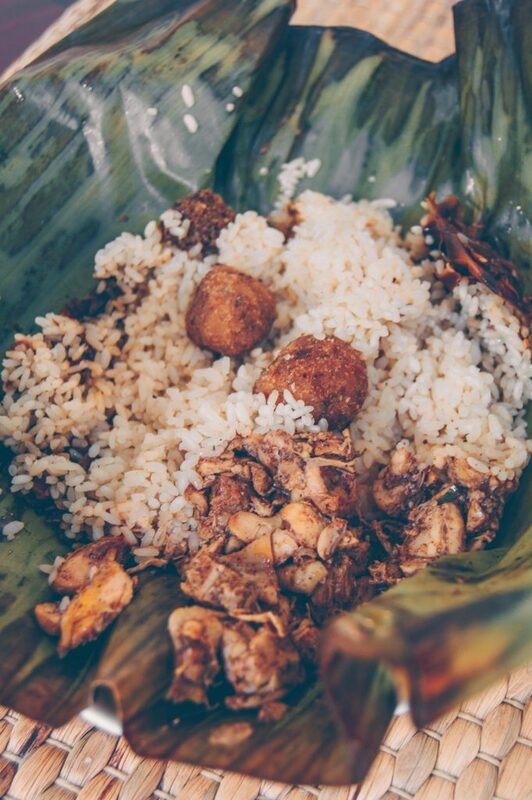 If you are looking to try traditional rice and curry, the backbone of Sri Lankan cuisine, this is your place! Apart from delicious food, another important advantage is the ambience. While a lot of roadside cafes serve good food, sometimes you feel like having a proper sit-down meal in an air-conditioned space without cars honking next to you. Nothing fancy, just honestly good. What to order: mutton varuwal (mutton curry), maalu beduma (deep fried fish slices), dallo rathata uyala (cuttlefish curry), kos ata mallum sambolaya (jackfruit seeds sambol), parippu (lentil curry), pol sambol (coconut sambol). 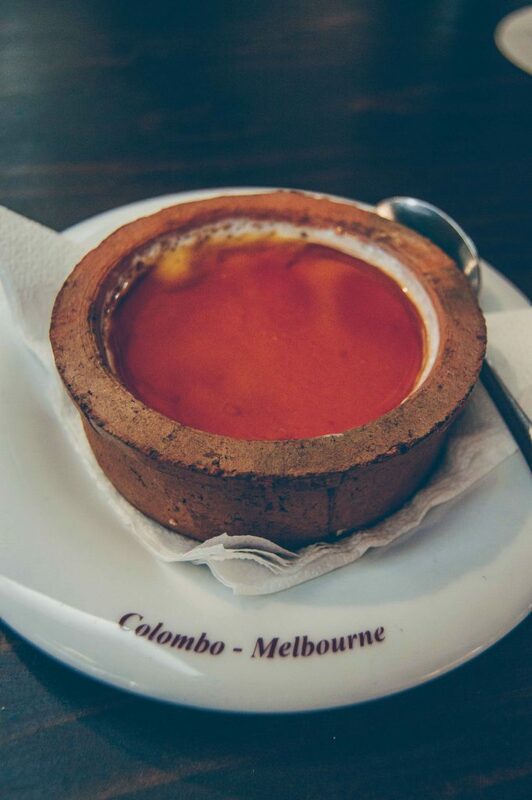 Culture Colombo is a new addition to the capital’s dining scene. Located in an old-school renovated house, the restaurant offers a wide range of traditional dishes from rice and curry, to hoppers and string hoppers, to buriyani. The latter, by the way, is served in a hollowed out bamboo stick which is worth ordering just for the fun of the presentation alone. All the dishes taste absolutely homemade, and the prices are more than reasonable. I know how the name sounds, but let me explain. It’s not “kama”, it’s “kaema” which means “food” in Sinhalese language. The sound “ae” in “kaema” is pronounced like “a” in “can”. 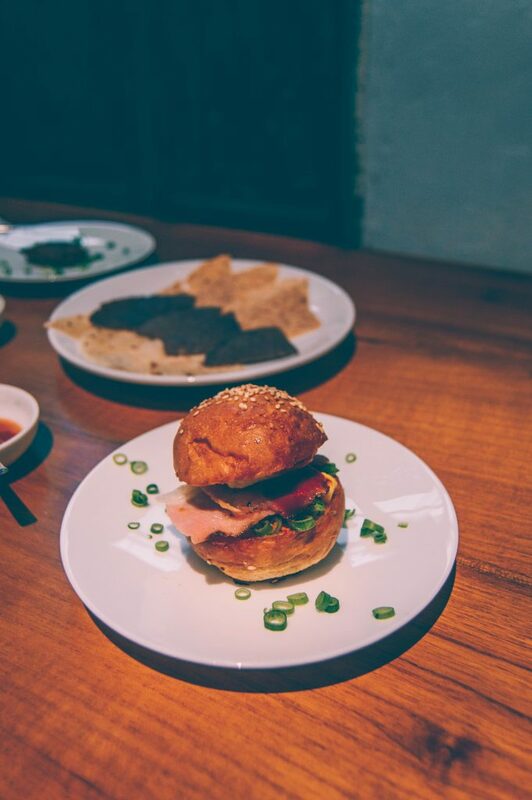 Many people think of contemporary as sophisticated fusion food. But that’s not the case with Kaema Sutra. Although it’s nothing like what you find in Sri Lankan homes, the dishes are most definitely authentically Sri Lankan, only slightly refined. Food here is not a way to to satisfy chef’s ambition, but a product of much love and care. Chef Dharshan Munidasa mixes the best of traditional cuisine with a touch of creativity to achieve perfection which I can only admire. What to order: Euro hopper (this pancake with curd, olive oil, and sea salt is to die for! ), boneless chicken leg curry, ambul thiyal (fish curry), lunu miris (onion and chili relish), and for dessert go for “What the Hopper” (sweet pancake with strawberries and cream). 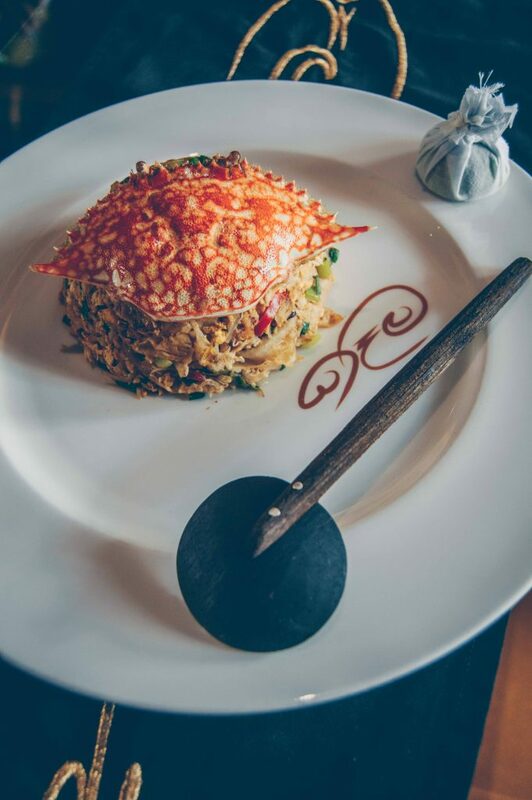 Opened by the same chef as Kaema Sutra, Ministry of Crab specializes in preparing the freshest, largest crabs you can find on the island. From the menu you can choose the size of your crab first (the “small” one is 500g and the “crabzilla” weighs mind-blowing 2 kg! ), then the style of preparation. Ministry of Crab is definitely a costly dining option, but the whole-experience is like nothing you’ve ever tried! 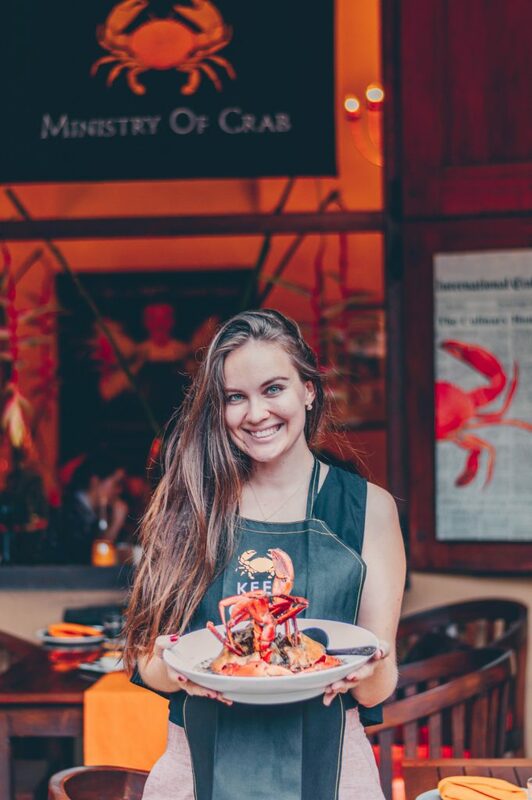 What to order: pepper crab with garlic bread to soak up all the gravy, prawns, oyster sixers. Mayura Hotel is not a hotel, but a teeny-tiny restaurant. It defies logic, but a lot of roadside restaurants in Sri Lanka are called hotels. 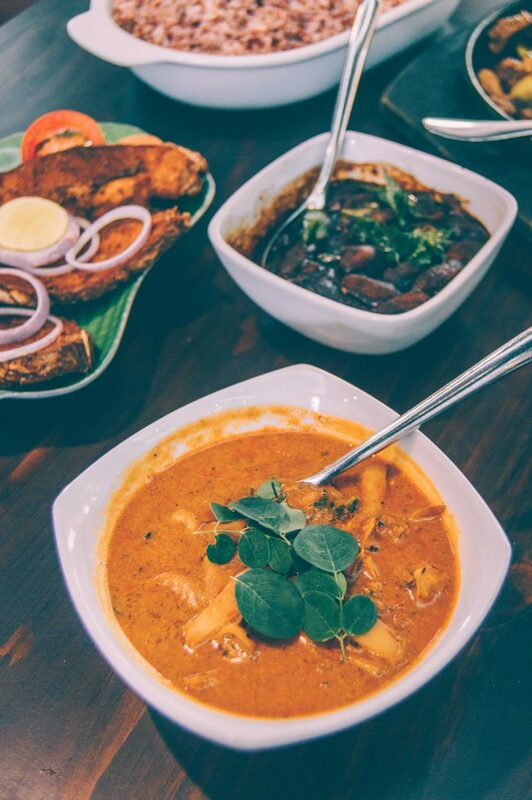 Mayura is located in the heart of Colombo’s biggest and craziest market and serves amazing Jaffna-style crab curry. Although the crabs here are much smaller in size than at Ministry of Crab, the taste is next-level good. People who frequent Mayura are workers and local vendors. 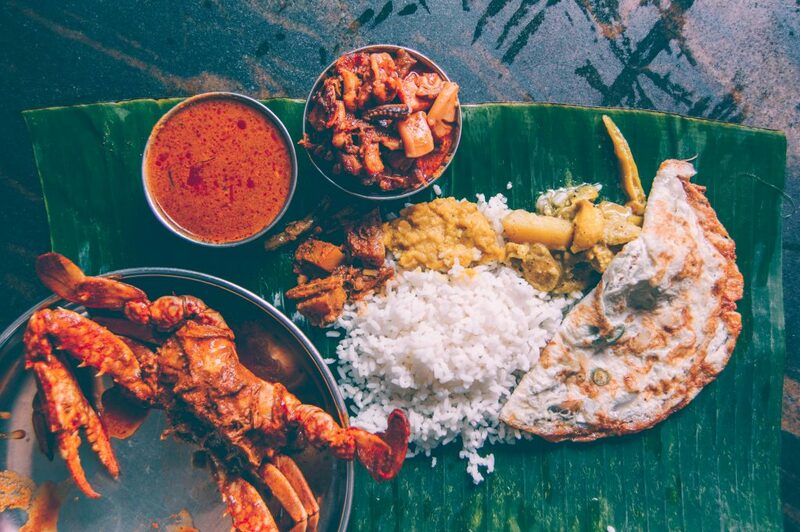 There are no plates — rice and curry are served on a banana leaf right in front of you. Instead of napkins, you’ll find cut-up paper sheets. Spoons and forks aren’t in the vicinity either, but who needs a fork to eat crab curry anyways? Although people come here for the crab curry, the real star is their omelette, fried in lots of butter. What to order: crab curry, octopus curry, prawn curry, Sri Lankan omelet. Tip: take a tuk-tuk to Pettah Market and ask to drop you off at Mayura Hotel. Be prepared that it’s a hole-in-the-wall kind of place where you most likely won’t find any tourists. Located inside Renuka Hotel, Palmyrah focuses on traditional Jaffna fare, cuisine of the northern part of the island. Here you can try Tamil specialities like pittu and tosse, mutton paal poriyal, and milk hoppers — my personal favorite. The later is a freshly made pancake with crispy edges and sweet coconut milk in the center that is incredibly hard to find. Palmyrah is a perfect dinner spot with elegant atmosphere and sharable dishes. What to order: all the hoppers! But especially milk hoppers and jaggery hoppers for dessert. Also, mutton paal poriyal, cashew curry with a side of tosse. Burghers are a small Eurasian ethnic group in Sri Lanka descended from Portuguese, Dutch, and British people. The number of Burghers is quite small, constituting only 0.2% of the total population of Sri Lanka, according to Wikipedia. 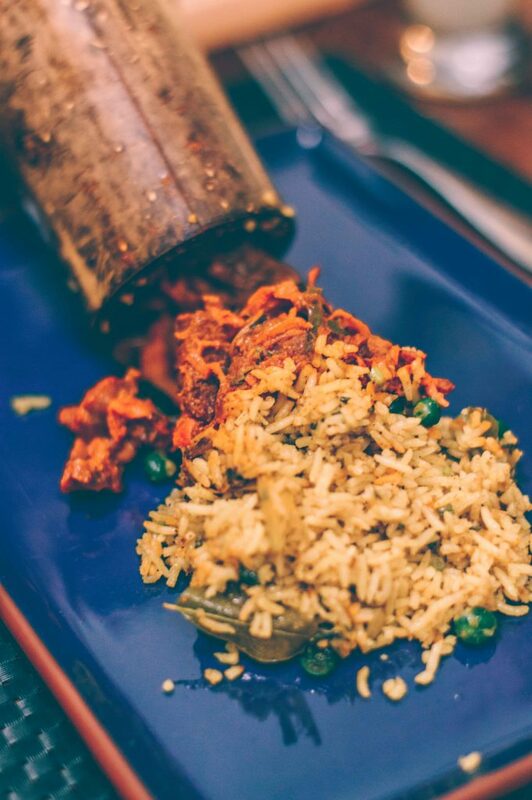 One of the signature Burgher dishes is lamprais, rice with vegetables and meats wrapped in banana leaf, and cooked. On my latest trip to Sri Lanka I didn’t have the time to visit Dutch Burgher Union myself, but my friends (who are simply the best) brought me lamprais on the day of my departure while I was busy packing. I am not sure whether it was the lamprais or the overwhelming feeling of being loved by friends, but that meal was delicious! Although a lot of restaurants in Colombo that serve kottu are open 24/7, kottu is a dinner-time dish. It’s best enjoyed late at night, after a boozy party, when you need something rich and heavy to soak up all the alcohol. The greasy, cheesy, carb-loaded, shapeless something called kottu is a perfect cure. You can eat kottu sober and at daylight, but late at night it just hits the sweet spot. 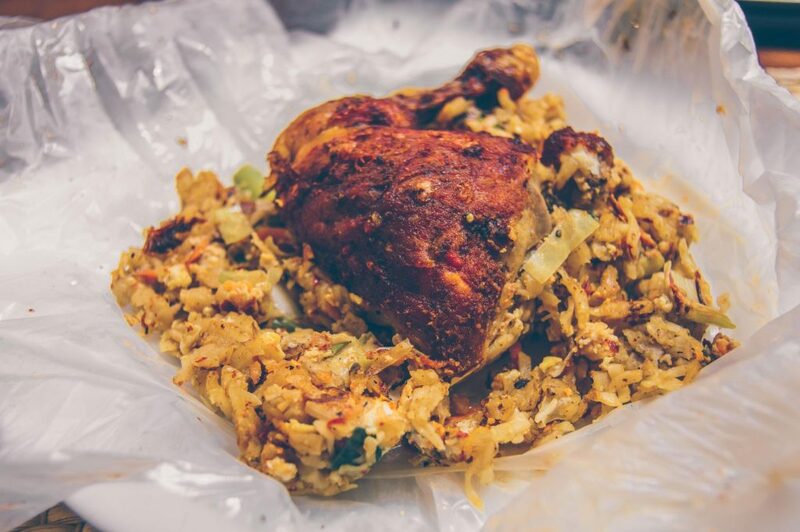 Kottu roti is one of the best dishes Sri Lanka has to offer. 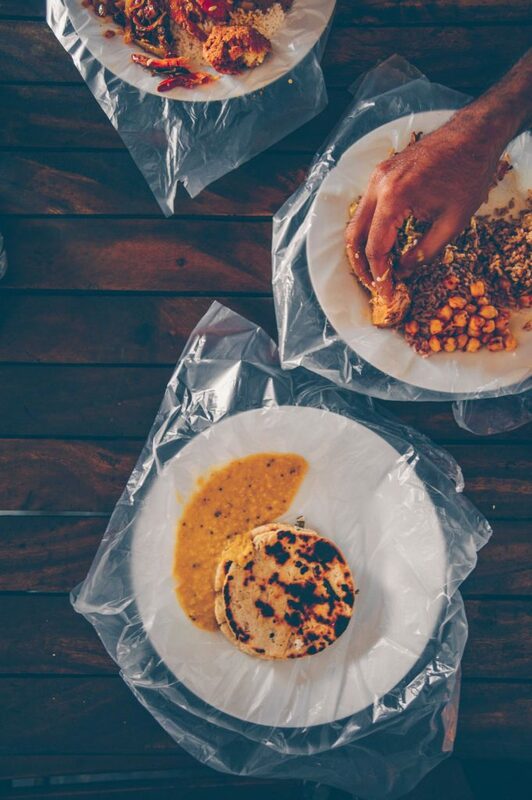 Roti (local flat bread) are cut into strips, mixed with spices, vegetables, and meat of your choice on an open grill with the help of two sharp blades. Make sure to watch the preparation process, the cooks make quite a show and some can even play music by hitting the blades on the grill. 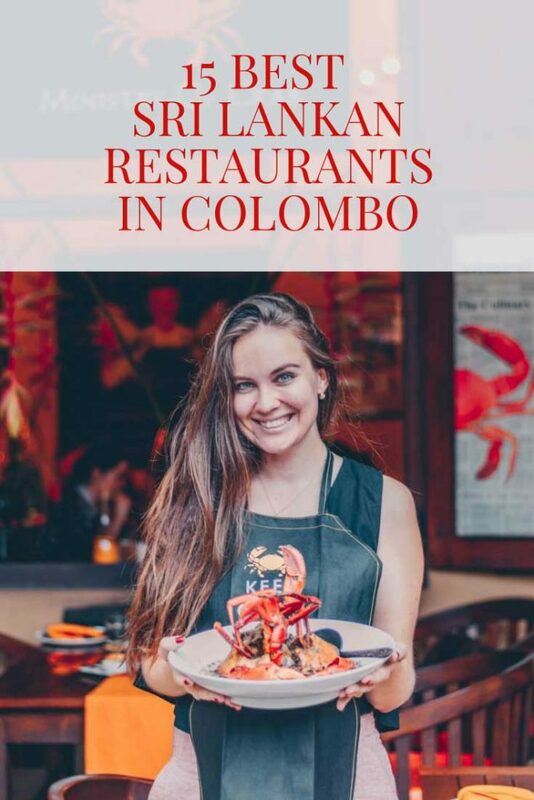 Isso is a casual restaurant in Colombo serving exactly what the name suggests — isso, which means “prawns” in Sinhalese language. You make your own dish by following three steps: choose the size of prawns varying from L to XXL, decide on the preparation method, and finally add a carb. They have two location in the city. What to order: I was in love with their healthier option of prawns mixed with mango avocado salsa. If you are looking for something on the hotter side, try their hot butter prawns or Jaffna prawn curry. As for carbs, go for roast garlic paan which is a type of local bread (so damn good, it’s one of the things I miss the most about Sri Lanka) or sweet potato fries. 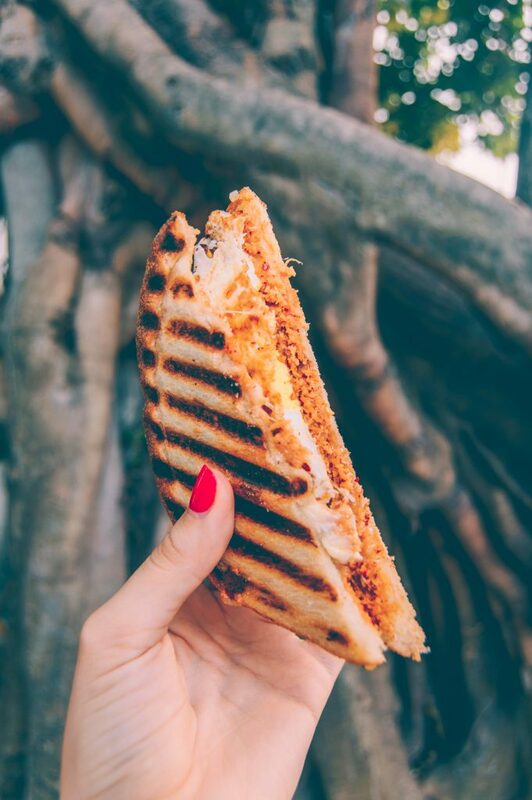 Panini, of course, has little to do with Sri Lanka. But combing Italian technique with local ingredients turned out to be mind-blowing! Ciabatta and focaccia traditionally used for panini gave way to Sri Lankan roast paan – local bread roasted to achieve perfect crust. And it makes all the difference! The fillings vary from chicken pomodoro to pulled BBQ chicken to tomato basil. 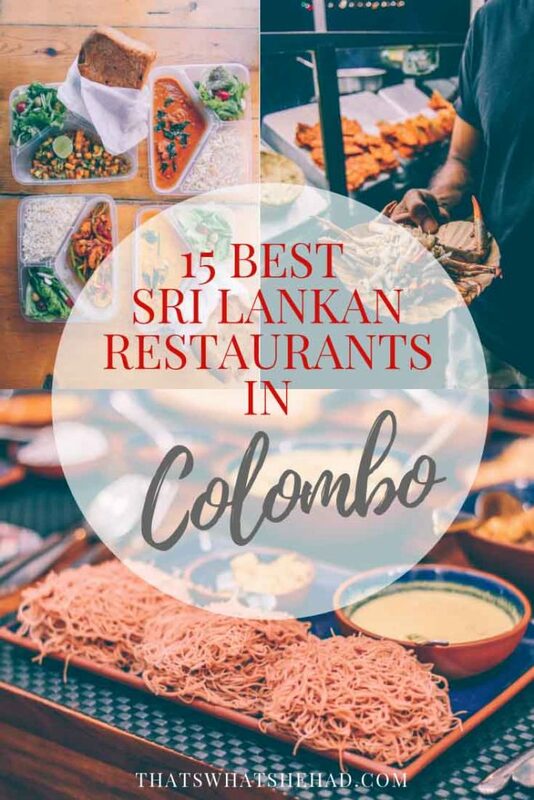 But I would highly recommend to go with Sri Lankan filling like pol sambol (grated coconut mixed with chili) or seeni sambol (onion relish) to make it a truly local specialty. 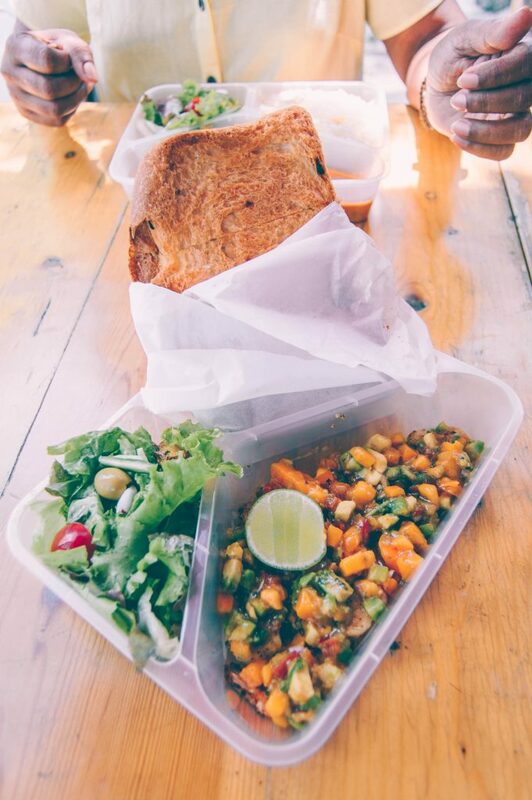 Kopi Kade is one of the most exciting places on the dining scene of Colombo right now. 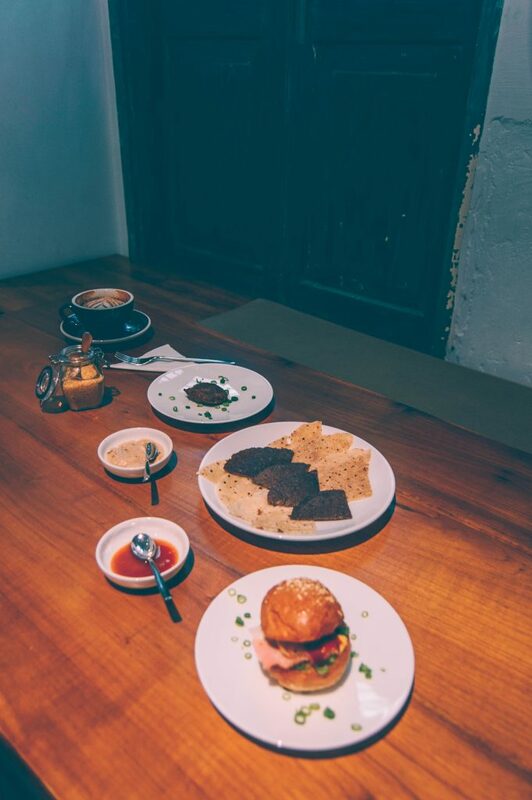 This small coffee shop on Stratford Avenue makes an amazing contemporary twist on traditional Sri Lankan dishes and serves them tapas-style, on small plates. You won’t find rice and curry or hoppers here, but you will find mind-blowing mutton and prawn sliders, roti crisps served with eggplant puree, Jaffna-style mutton kofta, and the most amazing salted kithul ice cream. By the way, their coffee is off-the-charts! 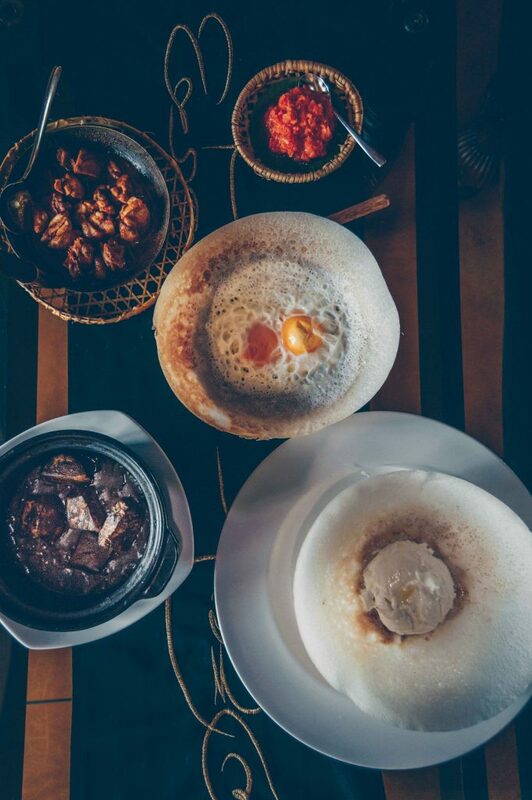 What to order: mutton and prawn sliders, Jaffna-style mutton kofta, coconut French toast, salted kithul ice cream, and coffee. For the ultimate tea experience visit t-Lounge by Dilmah, one of the most famous Ceylon tea brands around the world. Dilmah lounges provide the most well-rounded and creative approach to tea-drinking. You can try tea grown in different regions of Sri Lanka (including designer leaf tea), as well as tea-based cocktails, mocktails, milk shakes, smoothies, and even tea-inspired food! What to order: the menu is extensive, so talk to the server and explain your preferences so he can recommend a tea that will match your taste. Try one of the simple brewed teas first and then move on to something more creative like t-Shakes and lemonades. My personal favorite is t-Kitsch, a milky frothy type of tea spiced with cinnamon. If you look closely Sri Lankan colonial past is very evident in details: the narrow streets and cobblestone roads of Galle Fort, the Portuguese surnames many Sri Lankans have, the driving on the left side of the road, but my favorite has to be afternoon tea! This colonial tradition is alive and well at many fancy hotels in Colombo. You will find two types of afternoon tea: a pre-set number of sweets and savories served on a three-tier platter and a buffet-style afternoon tea. I personally prefer the former: you don’t overpay, you don’t stuff yourself for the sake of making your money’s worth, and it’s a much more elegant setting. 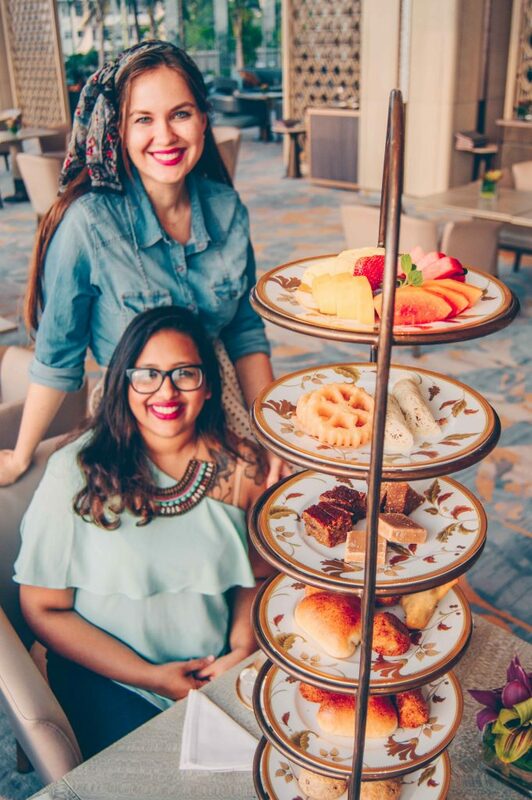 In Colombo, there are two hotels I know that serve Sri Lankan-style afternoon tea with traditional local sweets and snacks — Hilton Colombo and Shangri-La. Both provide a superb experience. What to order: the hotels have a choice of Western and Sri Lankan afternoon tea. Go for Sri Lankan if you have to choose or order both if you have a few friends with you. Before Ceylon was popular for its incredible tea, the country was one of the largest producers of coffee in the world. Surprised? Coffee was brought to the island by the Dutch, and in 1860 Sri Lanka became one of the world’s largest producers. Unfortunately, in 1869 a lethal fungus destroyed the industry. Today, efforts are made to grow coffee in Sri Lanka and popularize it once again. James Whight, the owner of Whight & Co, is one of the few people in the country producing high-quality coffee locally. You can have a cup at his coffee shop on Marine Drive, with a view of the ocean. If you are spending a few days in the city, read this massive list of 40 seriously cool things to do in Colombo. 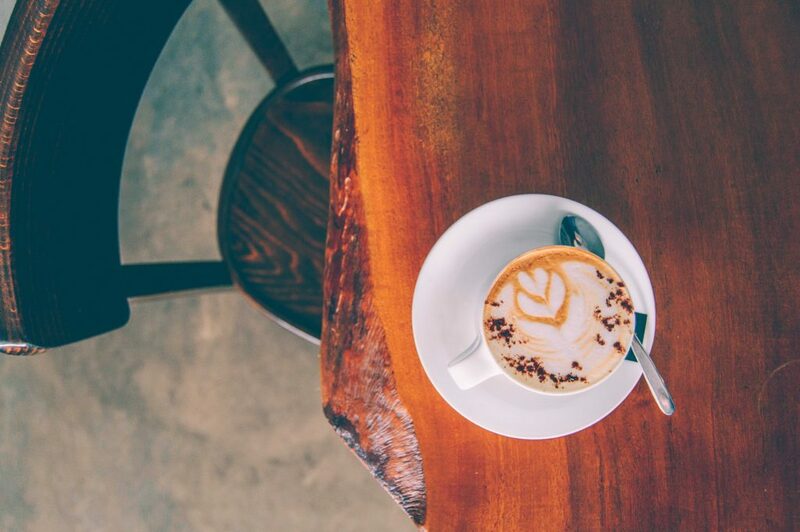 To find the best cup of coffee, check out this guide to the best coffee shops in Colombo. 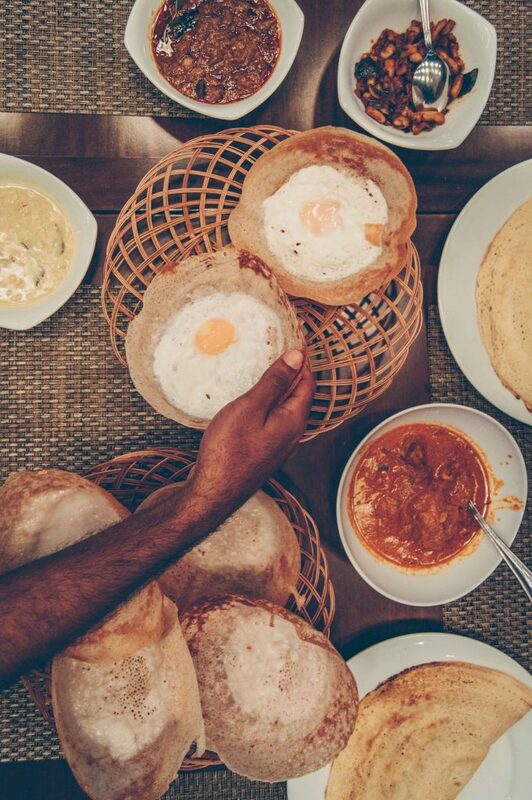 To get a more in-depth look into Sri Lankan cuisine, read my ultimate guide with 50 must-try Sri Lankan dishes. I recommend Raja Bojun (Duplication Rd, Colombo 3) for autehntic Sri lankan buffet, they have an array of different curries including crab curry & the price is reasonable for that big of a buffet! Also, Nuga Gama at Cinnamon Grand Hotel & Curry Leaf at Colombo Hilton are both great but at a higher price. Check them out, if you haven’t already! I’ve heard of Nuga Game and Curry Leaf and always wanted to check them out. Raja Bojun is new to me, thank you for the tip! I am usually not a big fan of buffet-style meals since I always feel so heavy afterwards and need someone to roll me out of the restaurant 😀 But I am definitely missing a good buffet on this list! 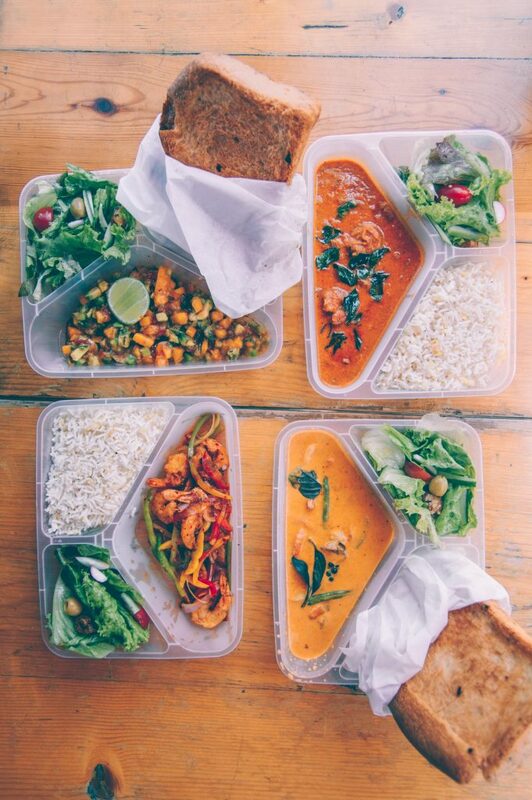 Can’t thank you enough for this – I went to curry pot evey single day I was in Colombo and absolutely loved it! I’m Indian and I thought Sri Lankan food would be similar to food in southern India. I was dead wrong and couldn’t have been happier for it: the ever changing menu at curry pot was a source of absolute delight!